LONDON - Rupert Murdoch's scandal-hit News International confirmed Tuesday that it was reviewing journalistic standards across the company, a U.K. media group that includes The Times of London newspaper. The British newspaper arm of Murdoch's global empire has been shaken by allegations of illegal behaviour at the now-defunct News of the World tabloid, once Britain's most popular Sunday paper. More than a dozen former News of the World journalists and executives have been arrested over claims that they systematically intercepted mobile phone messages and illegally paid police for tips. Allegations of wrongdoing at other U.K. newspapers have since spread a cloud of suspicion over the country's entire media industry. The publishers of the Daily Mirror and the Daily Mail, which both compete with Murdoch's papers, have announced their own separate reviews of editorial procedure in the wake of the scandal in the past month or so. In a statement, News International said its internal review was launched "a number of weeks ago" and was being carried out with the assistance of London law firm, Linklaters. It said the review was under the control of News Corp. independent director Viet Dinh and Murdoch adviser Joel Klein, both of whom have served as U.S. assistant attorneys general, as well as members of the company's management and standards committee. News International is a wholly-owned subsidiary of News Corp. The statement gave few further details, but a person familiar with the matter confirmed that the review would examine News International publications, including the 226-year-old Times, its sister-publication the Sunday Times, and The Sun, Britain's biggest-selling daily. The person, who requested anonymity because she wasn't authorized to speak publicly on the matter, said the news had been circulated internally in the last month. Meanwhile, an independent inquiry led by British Judge Brian Leveson is preparing to put the country's press under the microscope. 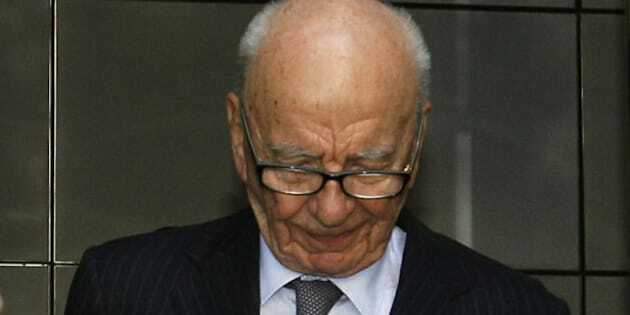 A spokesman for the inquiry said he couldn't confirm a report in The Daily Telegraph that Rupert and James Murdoch will be called to testify, but noted that Leveson has wide powers to call witnesses. The spokesman also said Leveson is hoping to televise the inquiry's proceedings in the interests of transparency. He spoke on condition of anonymity, in line with government policy. Separately, Britain's Electoral Commission said it won't investigate severance payments made to Andy Coulson, the former News of the World editor who was hired to work as Conservative Party leader David Cameron's top media aide in 2007, three years before Cameron became prime minister. Coulson is one of the figures at the centre of the phone hacking allegations and resigned as the scandal began boiling over earlier this year. Opposition lawmakers have long said that Cameron should have known better than to hire a disgraced tabloid editor to work in his office. The recent revelation that Coulson was drawing severance payments from News International while working for the Conservative Party leader raised questions about whether Murdoch's company was effectively subsidizing Coulson's party salary. But the Electoral Commission said Tuesday that none of its rules had been breached. Coulson, who denies any wrongdoing, still faces the possibility of criminal charges in relation to his time as editor of the News of the World.